These playful wedding invitations feature the couple's names in informal script against a background that brings to mind school chalkboards. 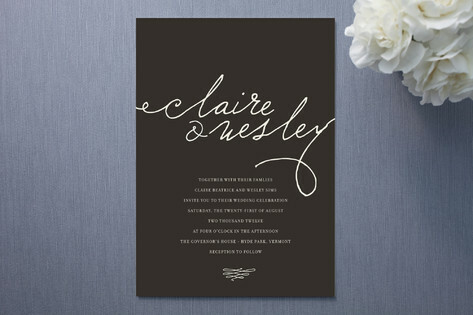 A fun flourish at the bottom of the card finishes off these elegant, yet informal invites. Available colors include Chalkboard Black (shown) and Ivory.